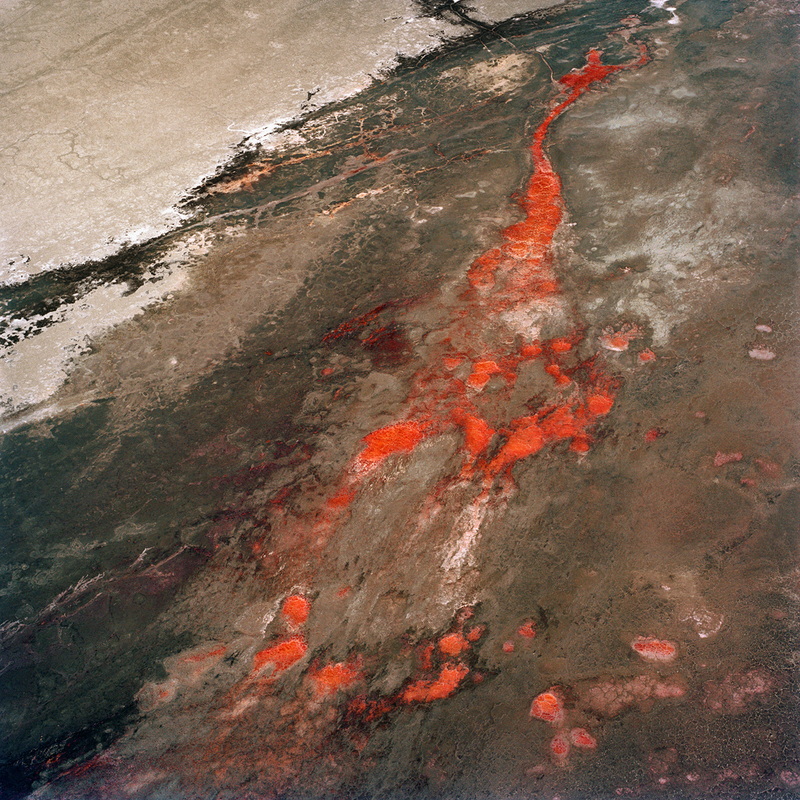 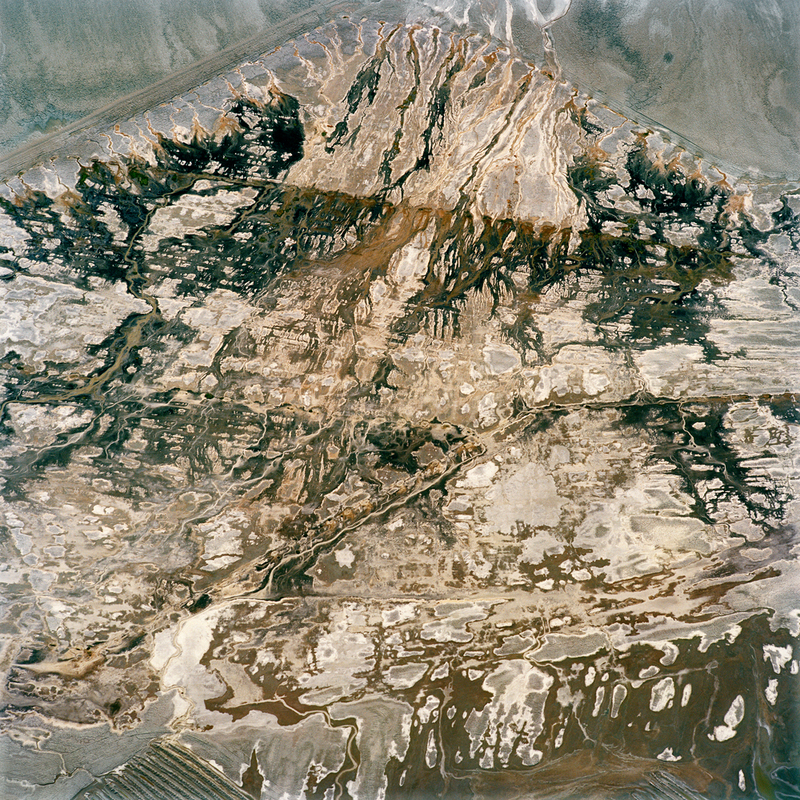 The Lake Project comprises images from Owens Lake, the site of a formerly 200 square-mile lake in California on the eastern side of the Sierra Mountains. 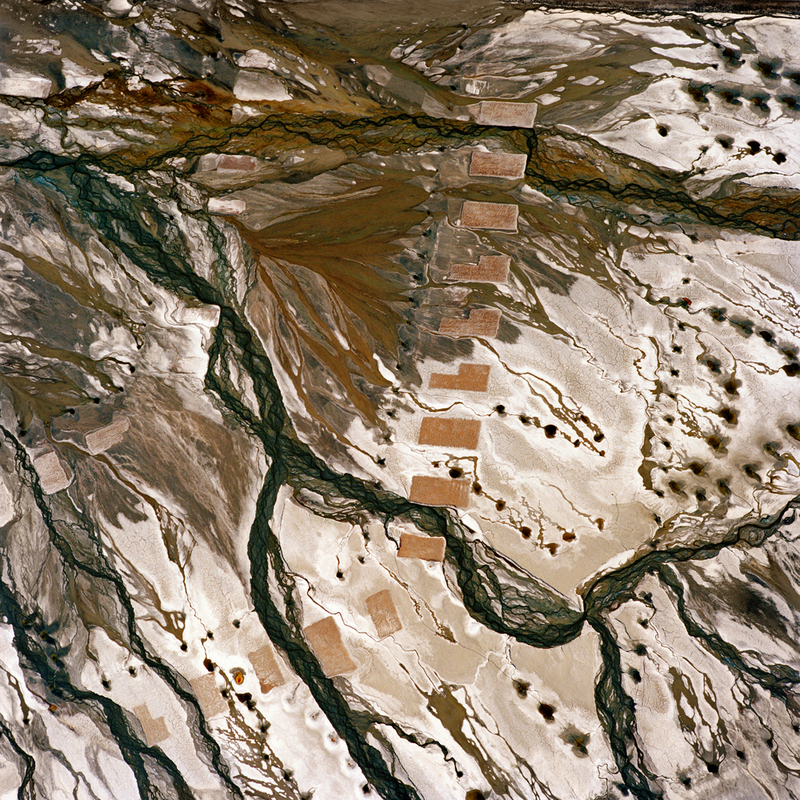 Beginning in 1913, the Owens River was diverted into the Owens Valley Aqueduct, to bring water to the fledgling desert city of Los Angeles. By 1926, the lake had been depleted, exposing vast mineral flats and transforming a fertile valley into an arid landscape. 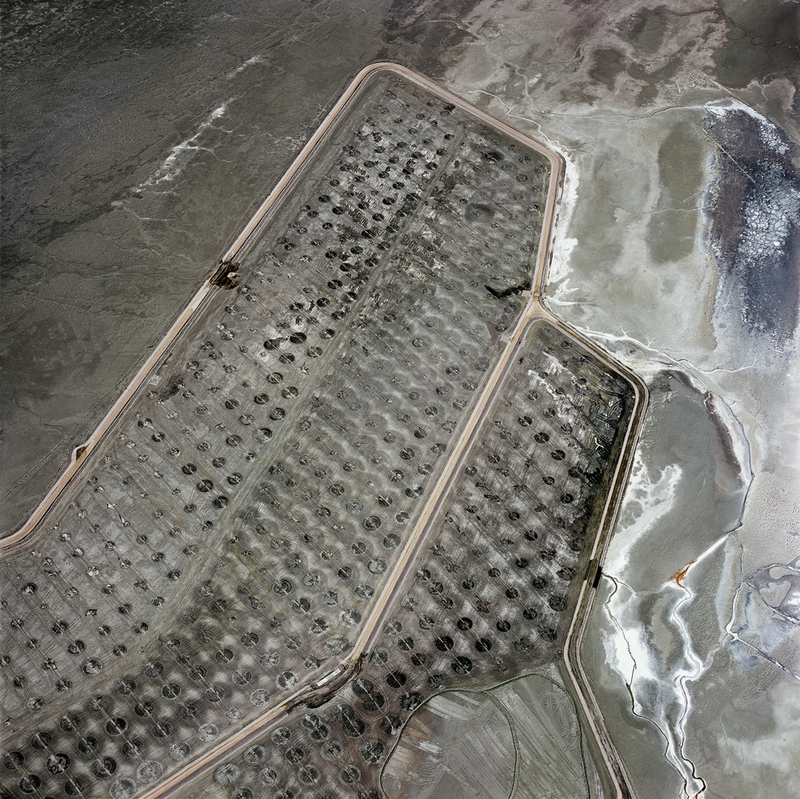 Today, water from the site of Owens Lake continues to supply up to 60% of LA’s water to its residents. 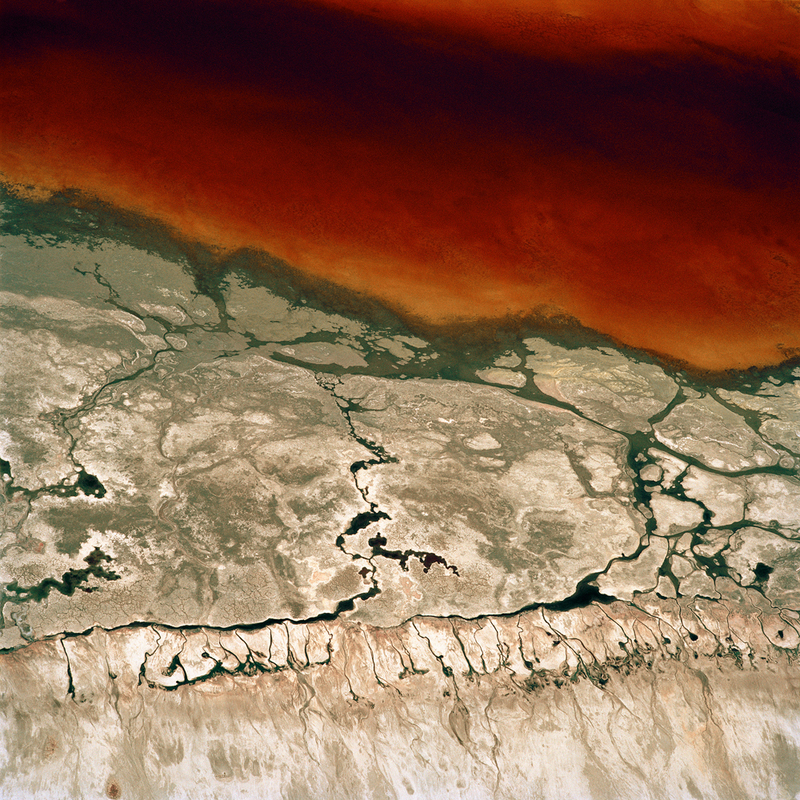 For decades, fierce winds have dislodged microscopic particles from the lakebed, creating carcinogenic dust storms. 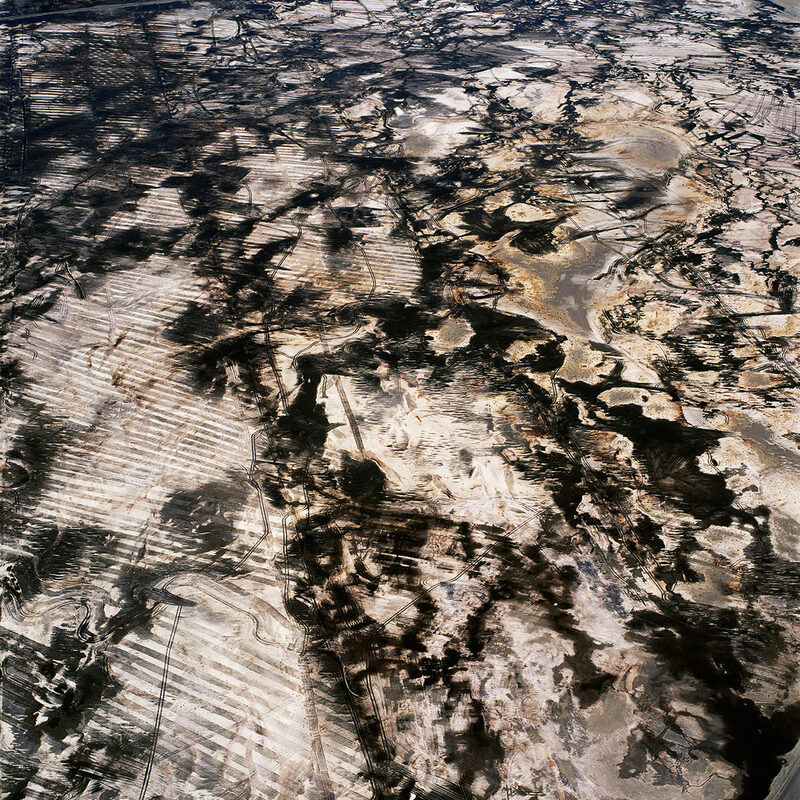 Indeed, the site has become the highest source of particulate matter pollution in the United States, emitting 300,000 tons annually of cadmium, chromium, arsenic and other materials. 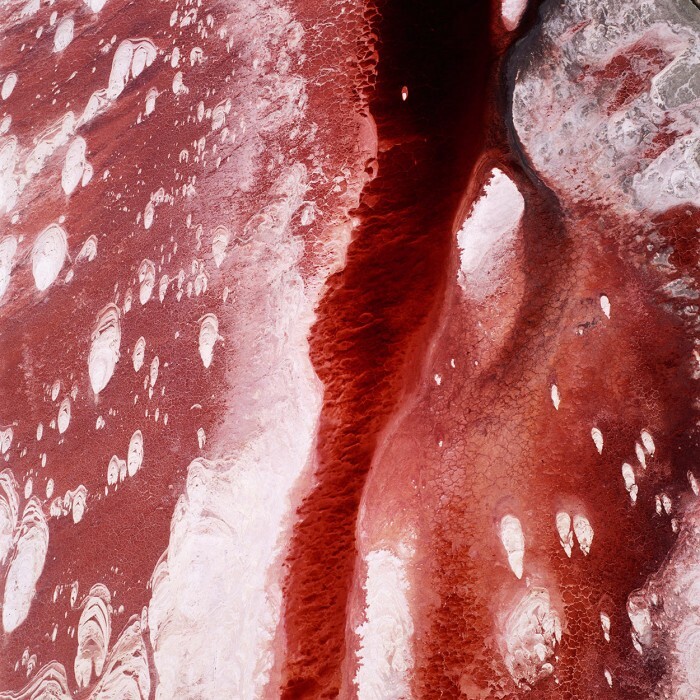 The concentration of minerals in the remaining water yields blooms of microscopic bacteria, turning the liquid a deep, bloody red. The lake has become the locus of water’s absence, a negation of itself, a void. 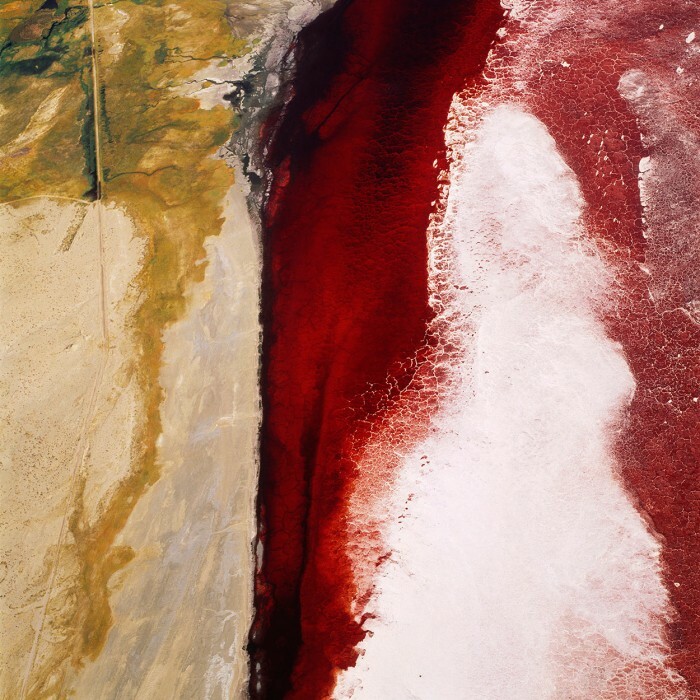 The images serve, in a sense, as the lake’s autopsy. 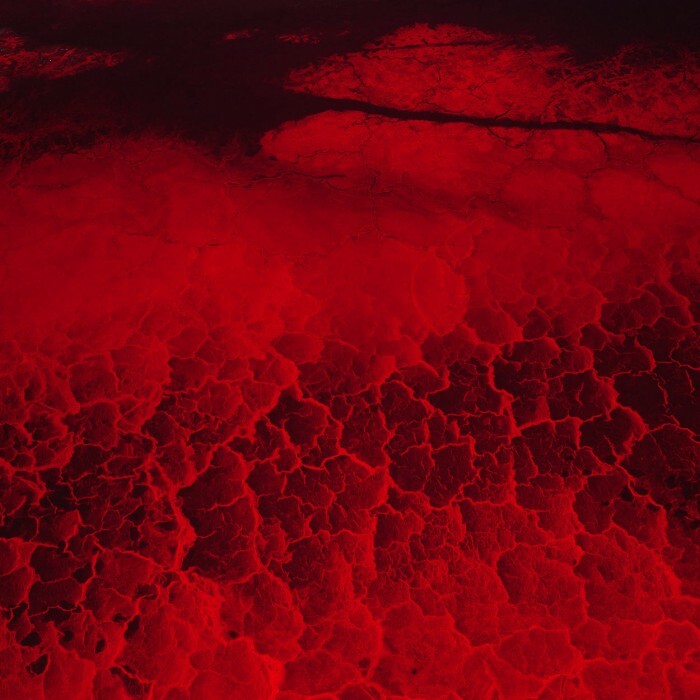 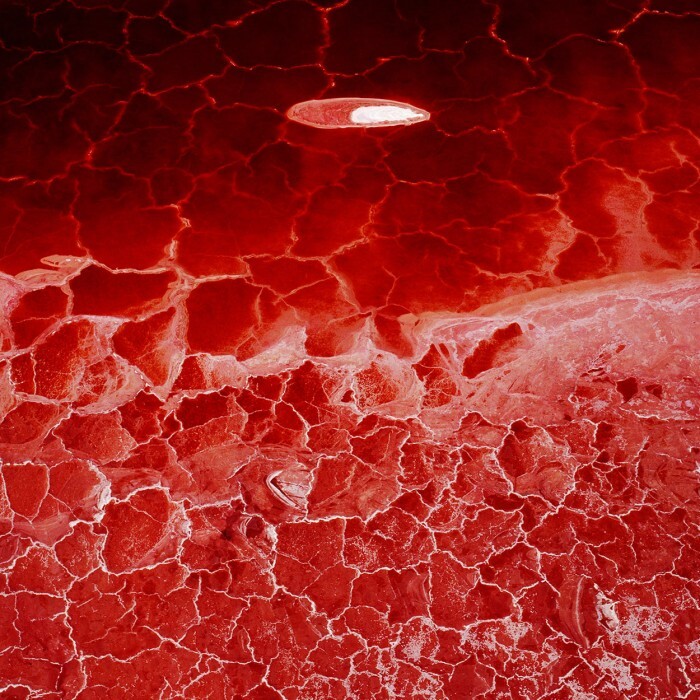 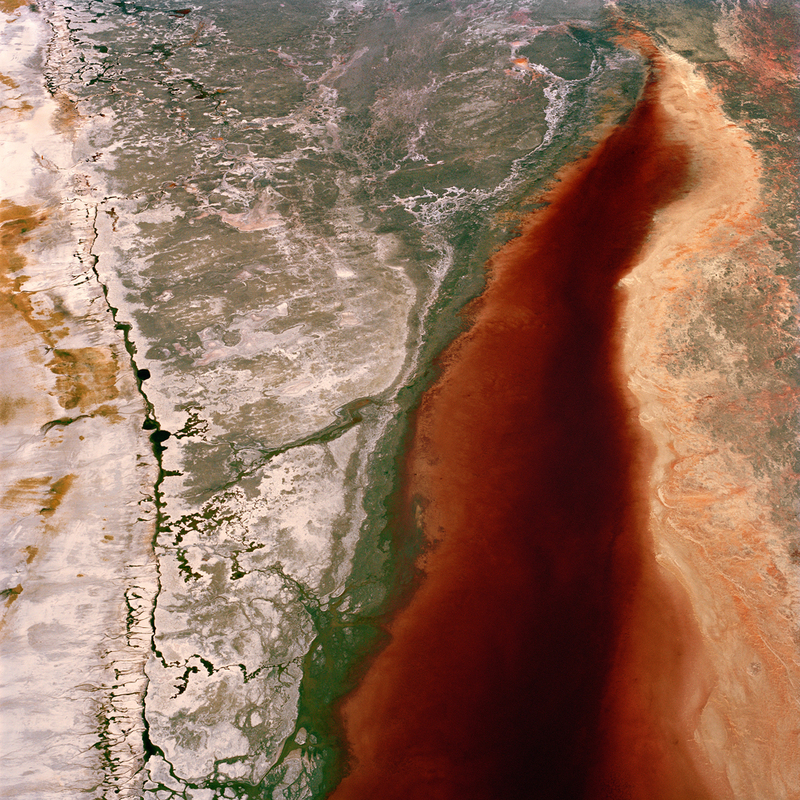 Viewed from the air, vestiges of the lake appear as a river of blood, a microchip, a bisected vein, or a galaxy’s map. It is this contemporary version of the sublime that Maisel finds find compelling– a strange beauty born of environmental degradation. 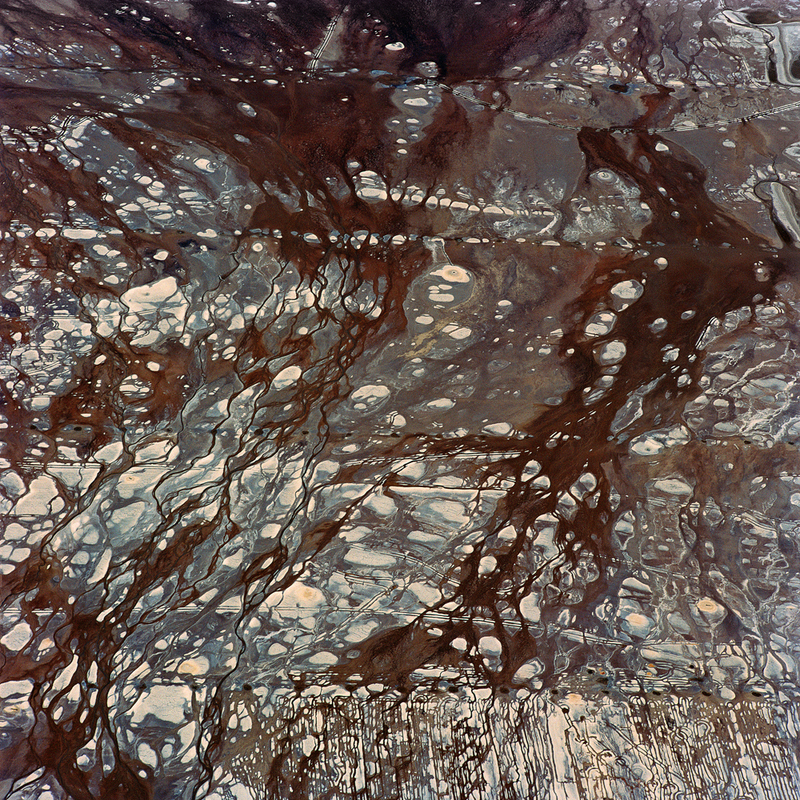 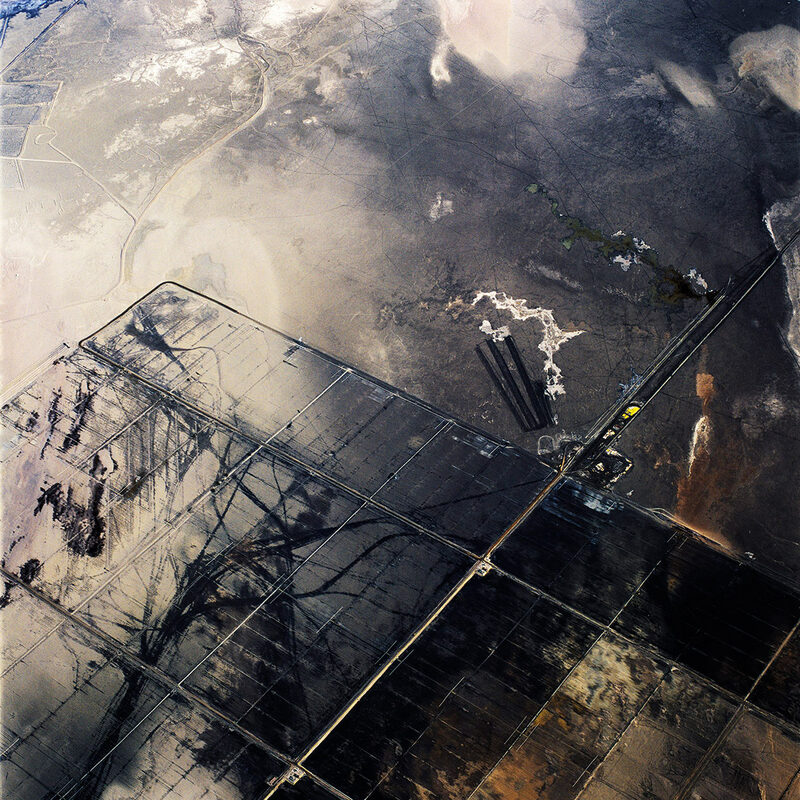 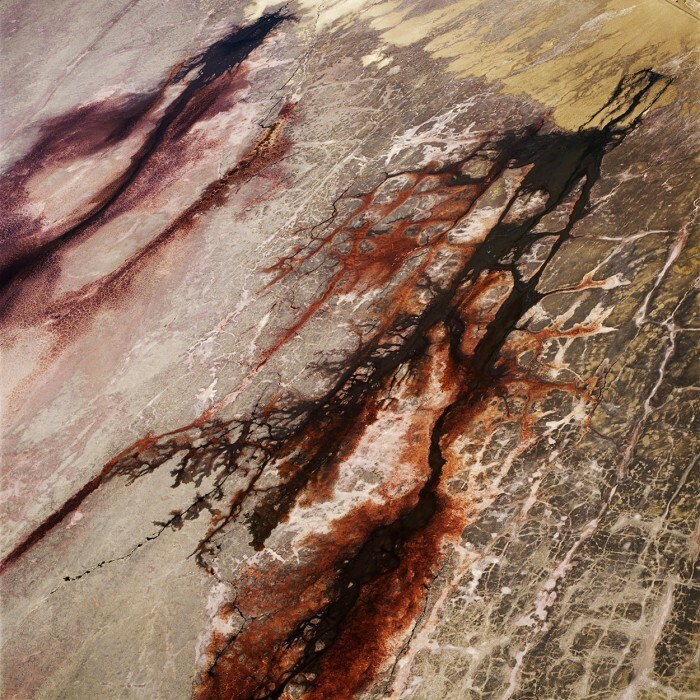 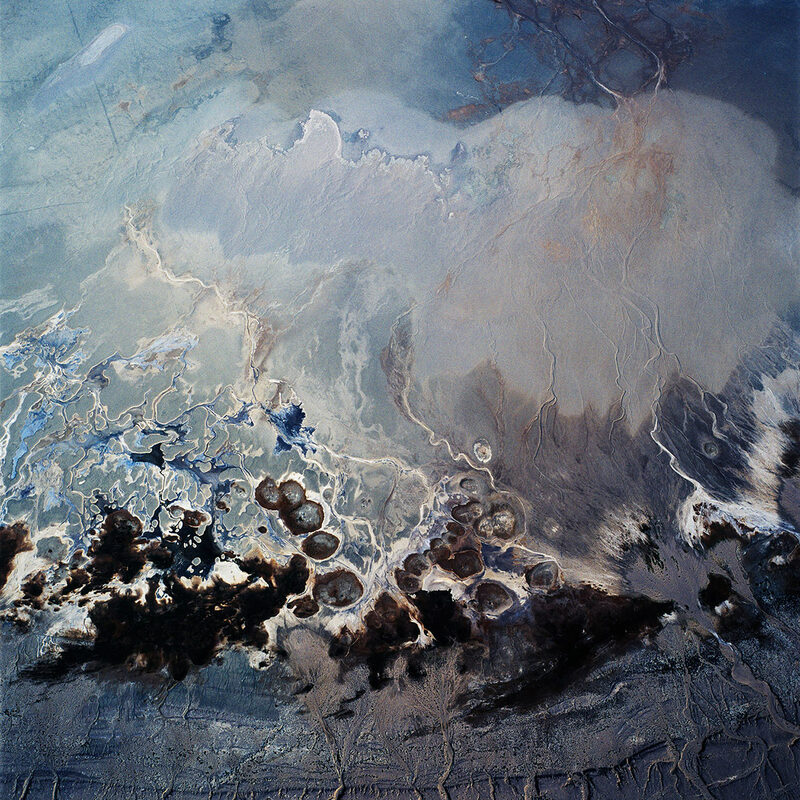 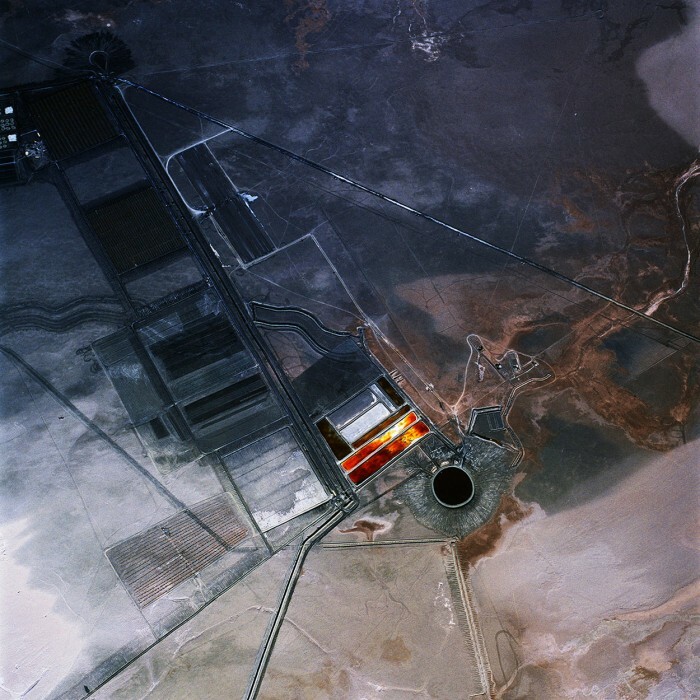 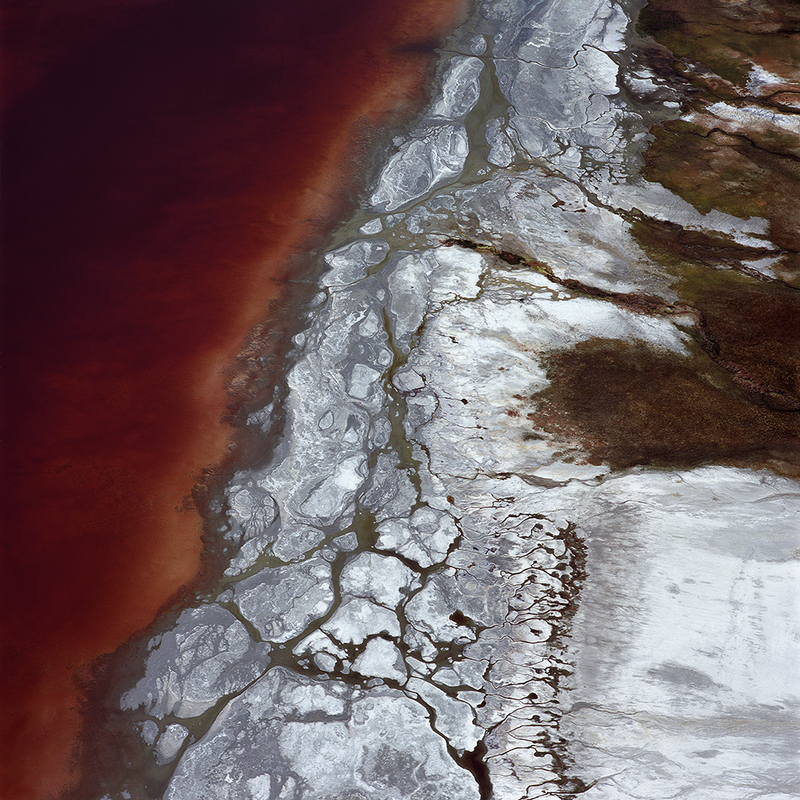 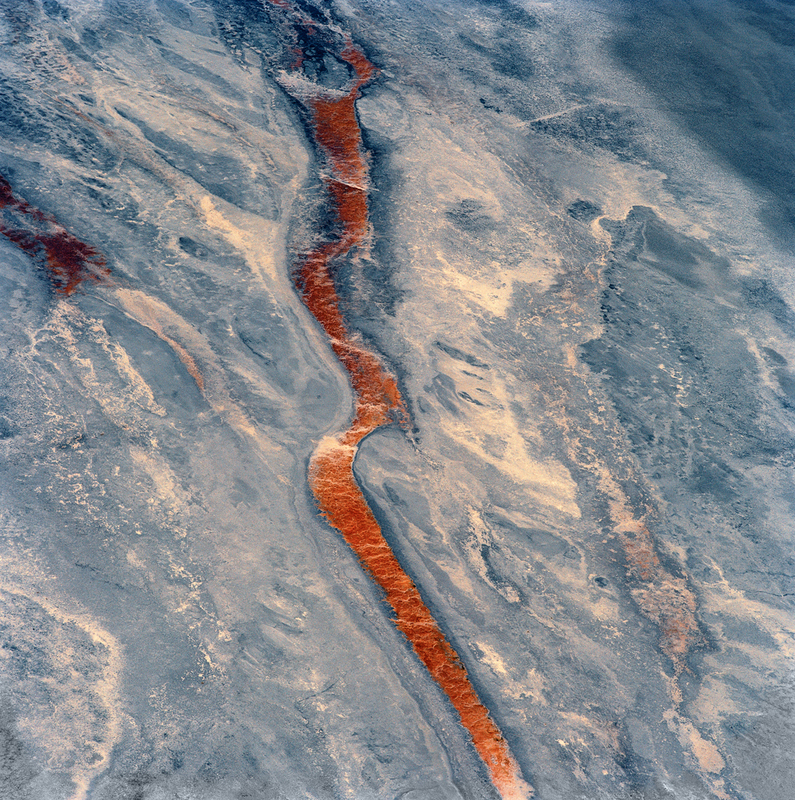 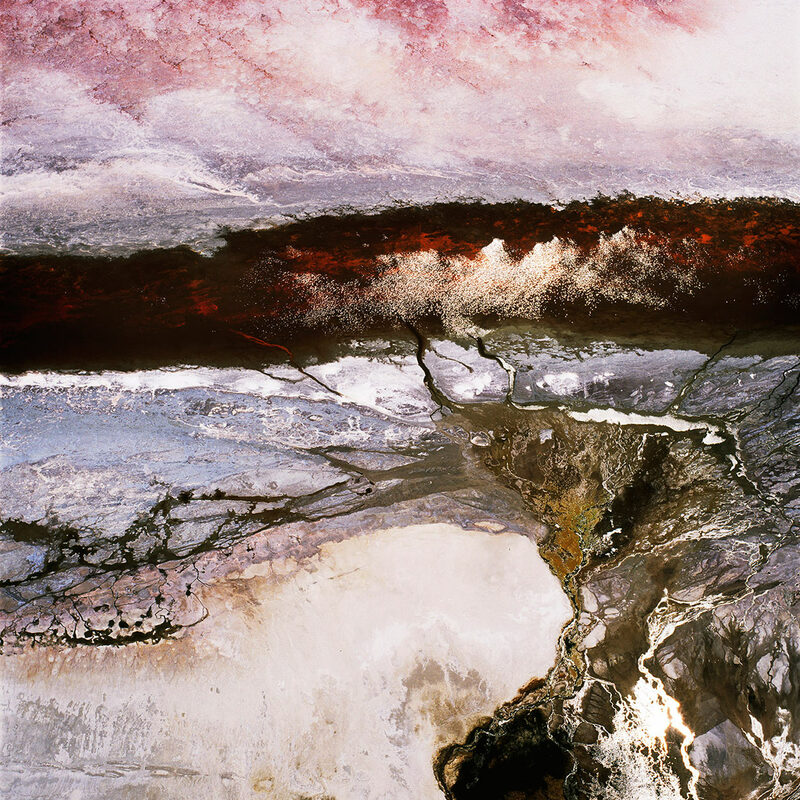 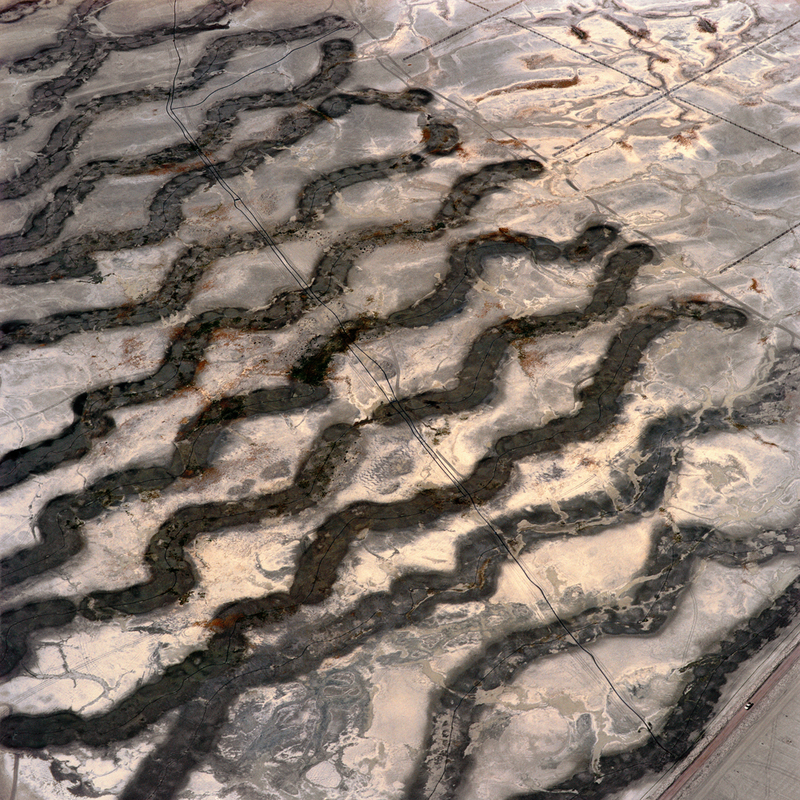 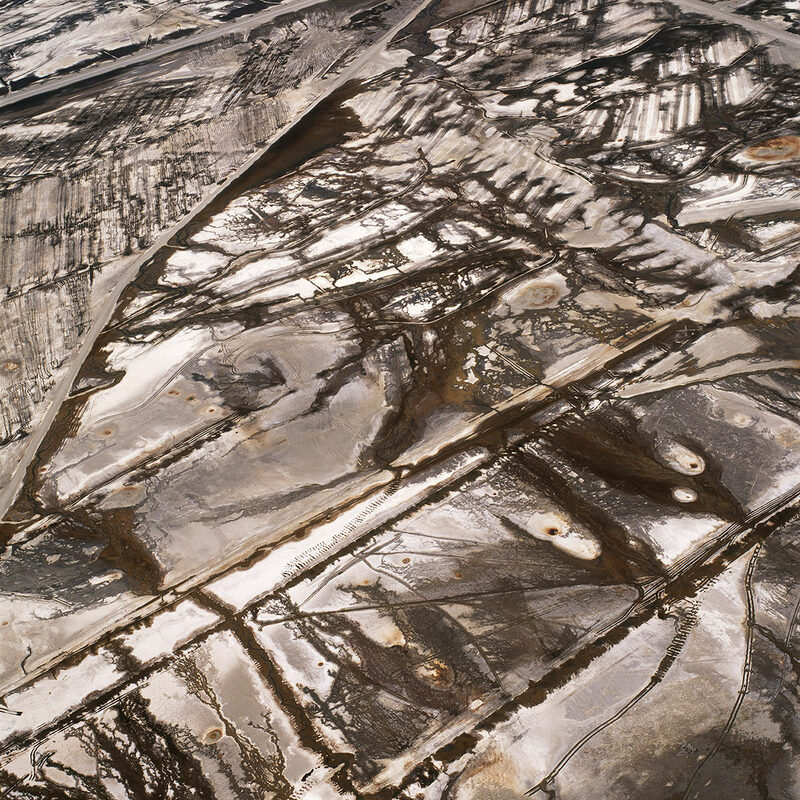 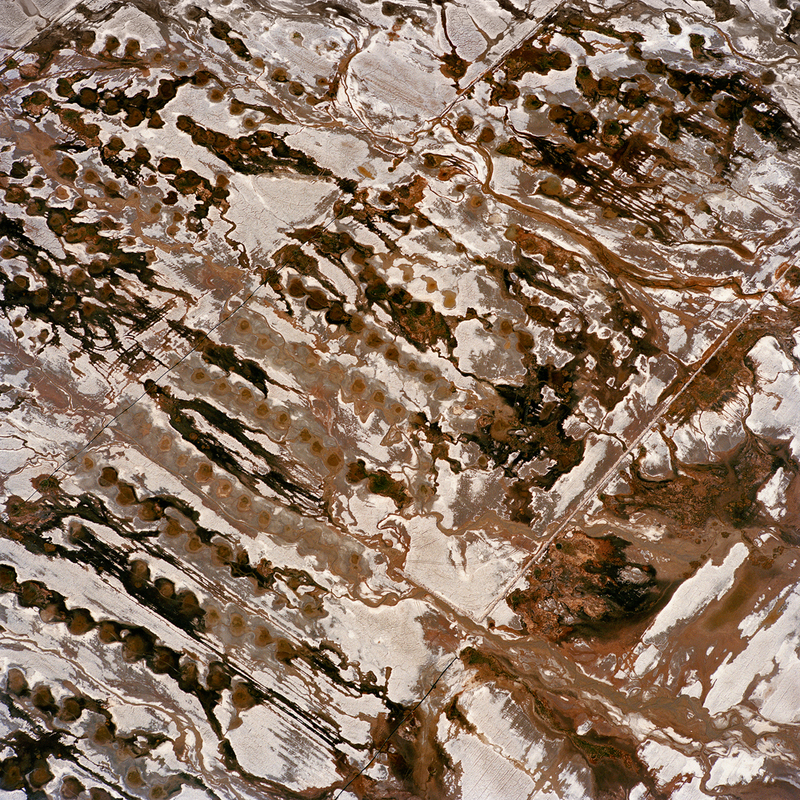 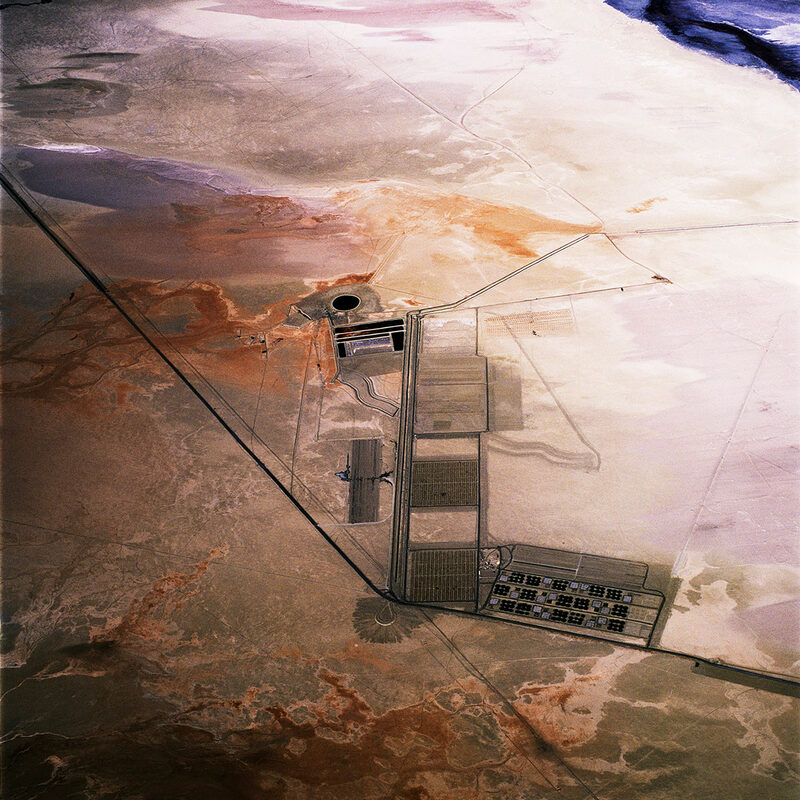 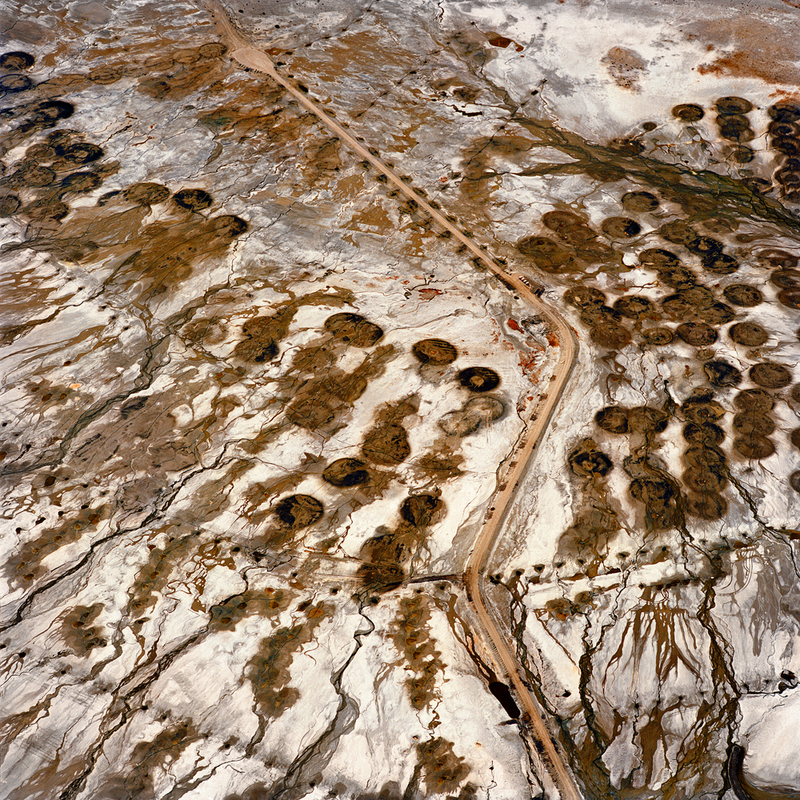 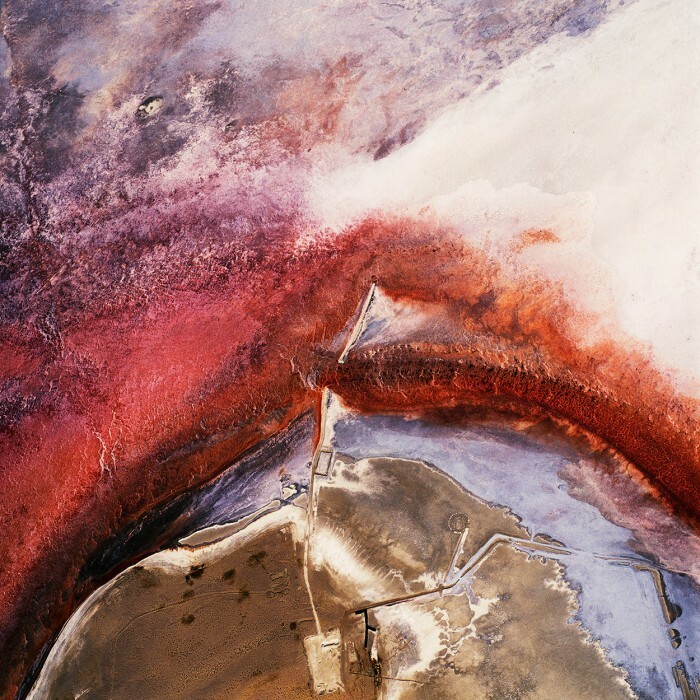 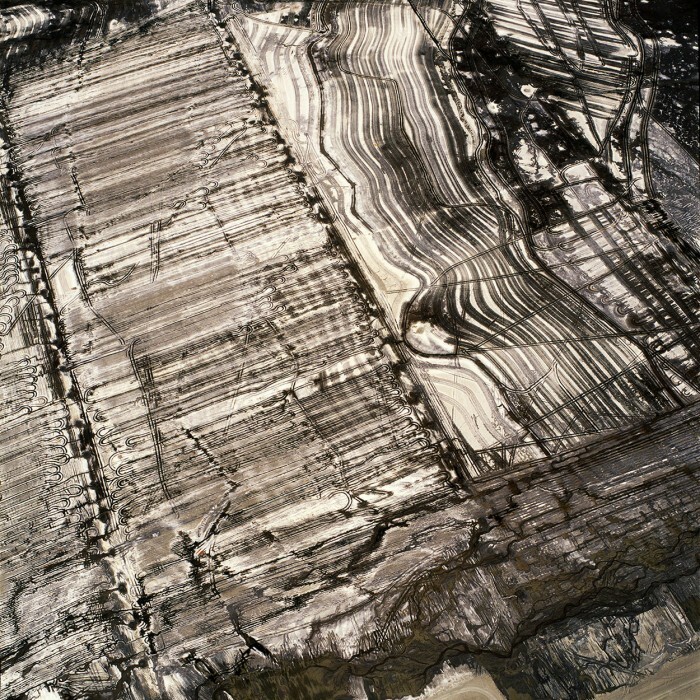 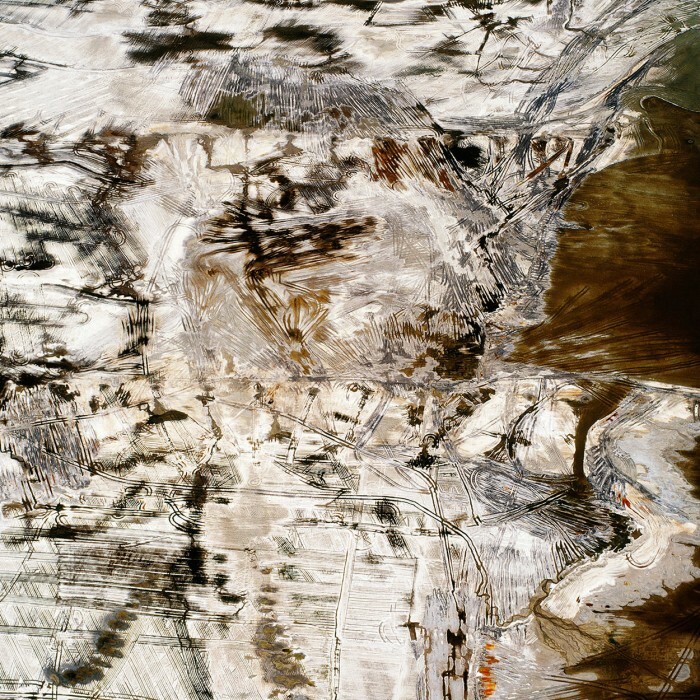 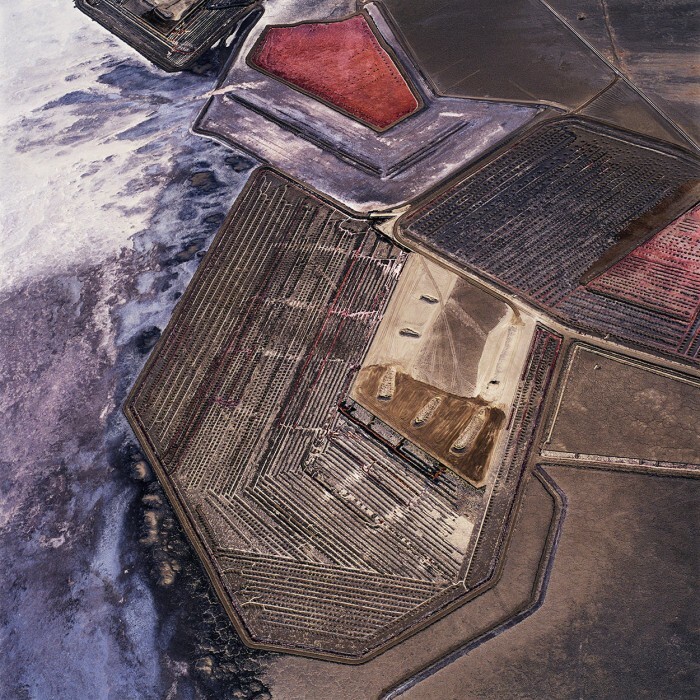 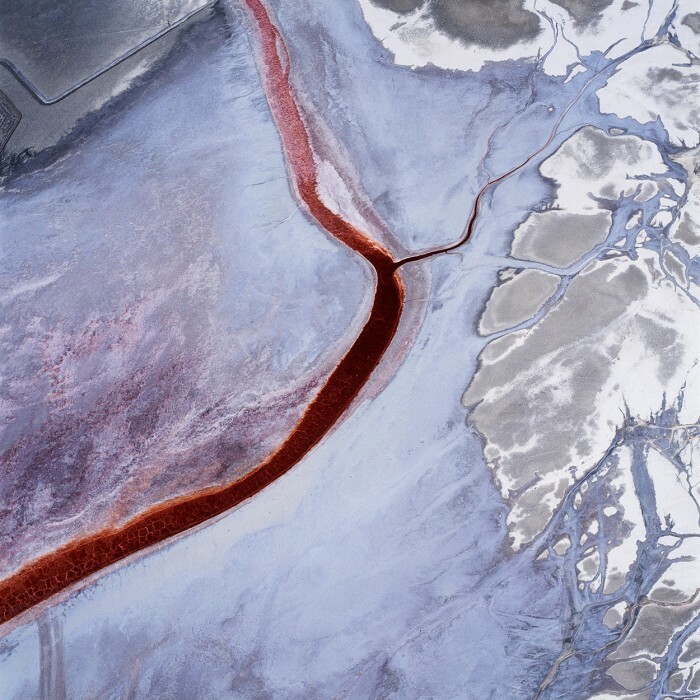 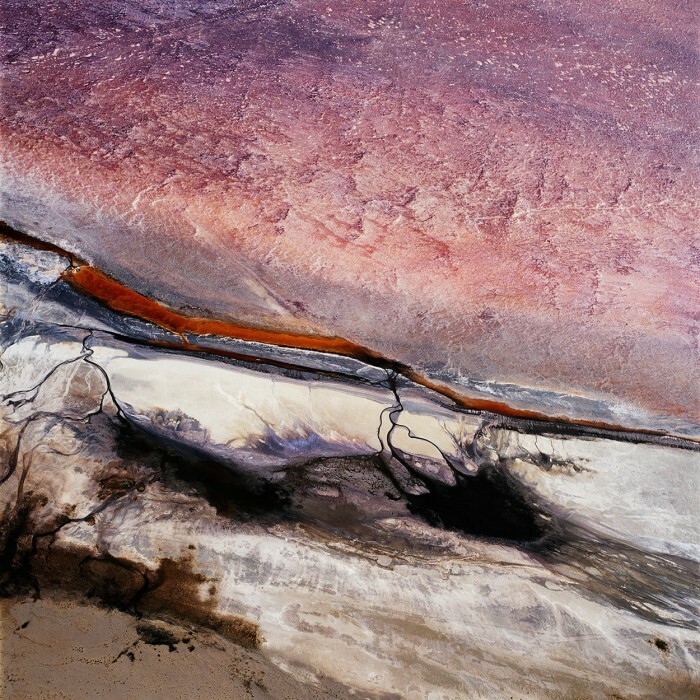 Maisel initially worked at Owens Lake making aerial images of this surreal landscape from 2001-2002. 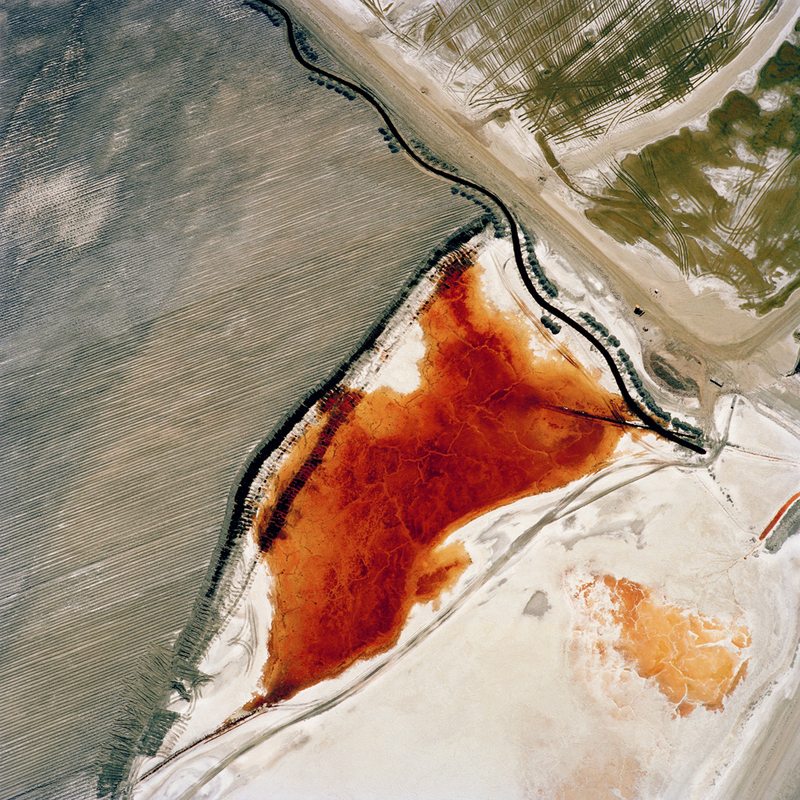 He returned to Owens Lake in 2015 to make new images and to see how the intervening years had brought additional layers of human intervention to the lakebed. 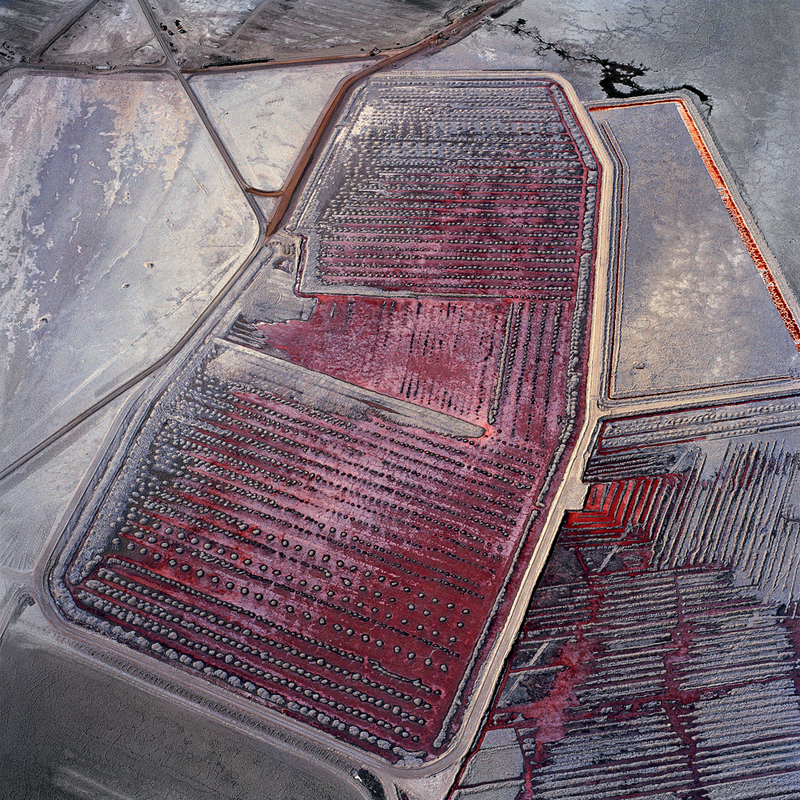 A documentary piece on his work by KQED was filmed at this time.